Tehran (AFP) - Iranian human rights lawyer Nasrin Sotoudeh will not appeal a 12-year prison sentence imposed on her last week for "encouraging corruption and debauchery", her husband said on Sunday. "She said she wouldn't want to appeal, and the reason is that the judicial process is unfair and such protests will do no good," Reza Khandan told AFP over telephone. "She does not want to undertake any judicial action since she does not agree with the judicial process. Nothing will be done along these lines," he added. Khandan said the new sentence against his wife, who is currently in prison for a five-year term on espionage charges, was for 12 years after she was found guilty of "encouraging corruption and debauchery". The maximum time to be served for this offence is 10 years, Khandan said, adding however that in cases with more than three charges the judge can increase the sentence, "and he made it 12". Khandan told AFP on Tuesday that Sotoudeh had been sentenced to a total of 33 years in prison over a case with seven charges, but she is to only serve the longest sentence which is for 12 years. Sotoudeh has also been sentenced to a total of 148 lashes for appearing in court without the hijab Islamic head covering and for another offence. According to him, Sotoudeh has refrained from choosing a lawyer as attorneys on her previous cases have faced prosecution for representing her. "She was not ready to sacrifice any lawyers again and create a situation that lawyers would be prosecuted because of her," Khandan said, following a conversation they had in prison. She had been found guilty of "colluding against the system, propaganda against the system... disrupting public order" and several other counts. 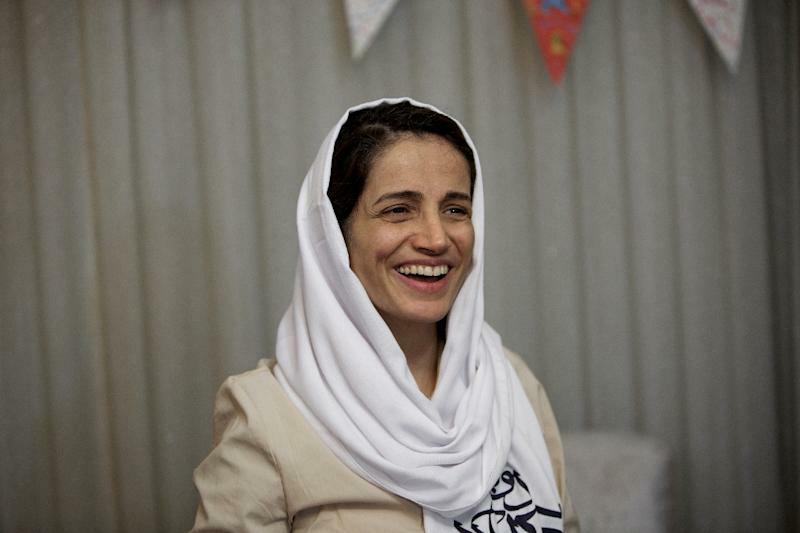 Sotoudeh won the European Parliament's prestigious Sakharov Prize in 2012 for her work on high-profile cases, including those of convicts on death row for offences committed as minors.